M-F 8-5 After hours appointments are available upon request. Risney Photo & Design is a photography studio located in Council Bluffs, IA. 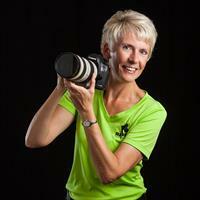 The owner/photographer, Anne Risney Morgan has over 30 years experience and brings to the table a wealth of artistic knowledge to capture beautiful images of high school seniors, families, pets, children, corporate head shots, and sports events. Wabash Ave. (Highway 275) to Pioneer Trail to Rolling Hills Loop to 21856 Cary Ave. Use GPS and you will have no problem.